Books are great references, but there are also some really good web hosting resources available online to give you extra information if you can’t find what you need. Don’t be afraid to check the web. 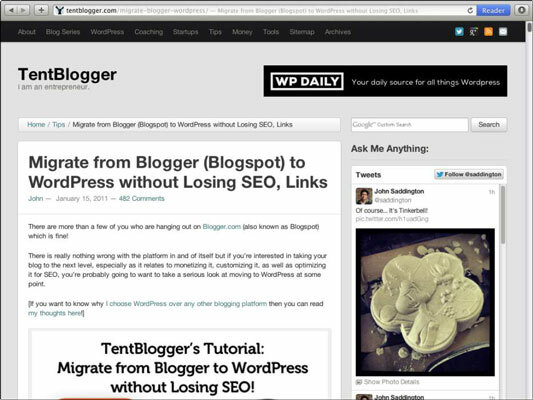 TentBlogger.com is owned and written by John Saddington. It is probably the best online resource for virtually everything with regard to blogging. There are articles explaining how to use different parts of your web hosting service, how to succeed as a blogger, how to use programs such as WordPress, and how to do a whole bunch of stuff you haven’t even thought of yet. TentBlogger.com provides good step-by-step guides for things that are tough to remember. There’s always an easy, well-written guide provided. 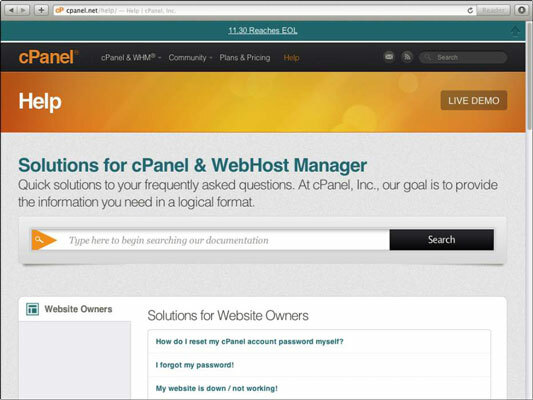 cPanel has a fairly extensive guide to using cPanel and web Host Manager (WHM), which covers different versions of the software so that, even if you aren’t using the very latest version of the software, you can often find information on how to use the version you have. There are also FAQs (frequently asked questions) and forums on the cPanel website where you can find the answer to just about everything you could ever want to ask. 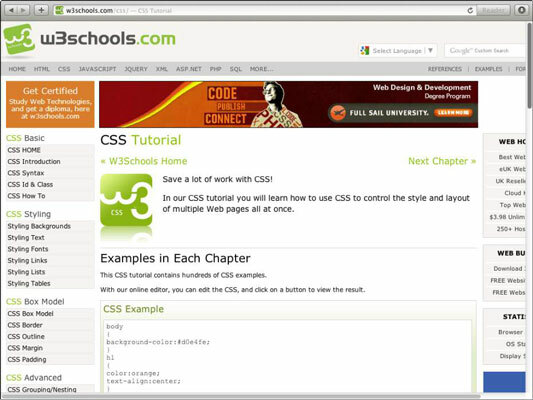 As its name suggests, w3schools.com is an extensive website that is there to educate you on using the Internet and its related technologies. It has an entire section dedicated to hosting, which has some useful tutorials and information. It may be worth you dropping by there just to familiarize yourself with what the site has for future reference. 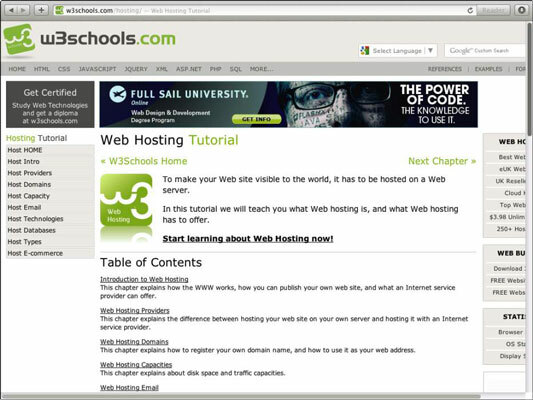 To state the obvious, webhostingtutorial.com is dedicated to teaching all about web hosting. The number of articles it has at the moment is fairly limited, but the ones that are there offer great advice and information, and there is a forum where you can get answers to your questions, if you have any. KB is an Internet term for knowledge base, so this is the knowledge base at parallels.com. Parallels is the manufacturer of the Plesk hosting software. The knowledge base at kb.parallels.com is fairly extensive, just like cPanel’s, and covers all of the products from Parallels so it should be your first port of call if you have questions on how to use facilities in Plesk or any other Parallels software. CSS isn’t directly related to hosting, but if you have website hosting, you probably have a website, and if you have a website, you probably are (or at least, should be) using CSS on that site. The W3 schools information on how to use CSS is some of the best and is invaluable in guiding you on how to make your site pretty. With a little bit of luck, your host has an FAQ page, knowledge base, or some forum of its own. These resources can be extremely useful if you come across problems, particularly when using a host like GoDaddy, which wrote its own control panel. Even with other hosts, common control panels can be configured differently, and you’ll often find that they provide information within forums, a knowledge base, or a Wiki/FAQ page on how to use specific areas within the control panel. 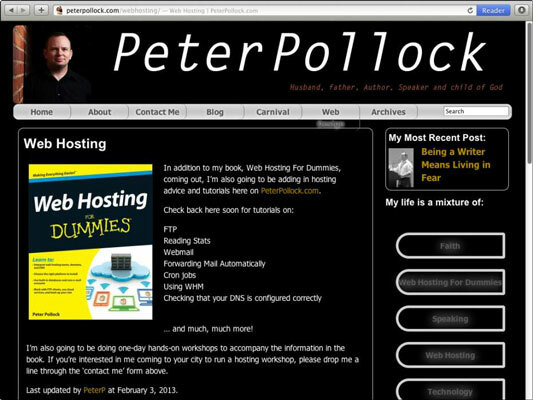 Peterpollock.com/webhosting provides a number of tutorials, including video tutorials, to show you how to use some of the functions of your hosting and to walk you through it visually. There is also a contact form on the site in case you need to ask any questions about how different functions work. You can check out Web Hosting For Dummies Extras. You can find videos, screen casts, and downloadable check lists, plus all kinds of other good stuff. 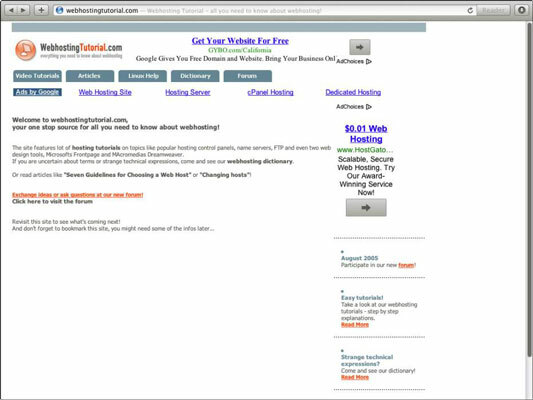 WebHostMagazine has been around in one form or another since the 1990s and is an excellent and trustworthy resource to find information, tutorials, and web host reviews. When considering a new host, it’s always worth stopping by the WebHostMagazine site to see what it says. Their reviews always seem objective and fair.